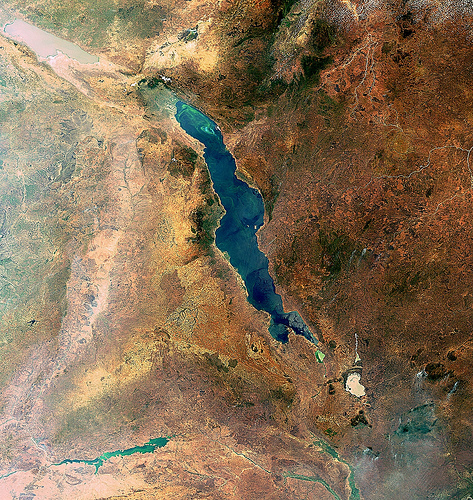 In the search for oil and natural gas, Africa’s third largest lake has become a political battlefield. Lake Malawi, also known as Lake Nyasa, is one of the African Great Lakes that lies in the Eastern Rift Valley. It is more than 700 meters (2,300 feet) deep at its deepest point. It’s not so much the water that Tanzania and Malawi are quarreling about, but rather, what lies beneath it. That’s because the sediments beneath Lake Malawi, or Lake Nyasa as it is known in Tanzania, are rumored to hold large reserves of oil and natural gas—reserves that both countries hope to exploit. But there is a significant snag. While the lake borders Malawi, Mozambique and Tanzania, a colonial-era document gives ownership of the entire lake to Malawi. Tanzania, however, claims that 50 percent of the lake lies within its territory, and has requested that Malawi halt exploration for oil. Malawi has so far refused. With growing water scarcity, which has been linked to global security issues, the large volume of freshwater contained in Lake Malawi may soon become more valuable than any hydrocarbons hidden in its depths.